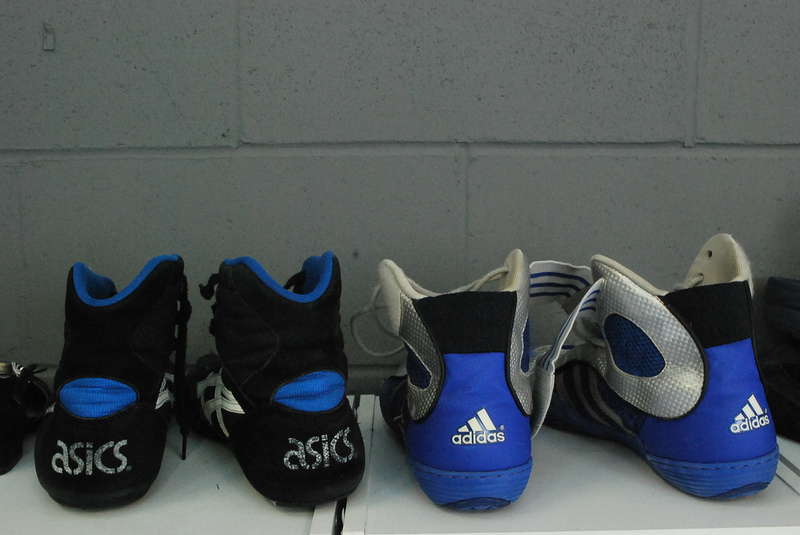 Gotta have wrestling shoes at the gym. This isn't a school bus and it isn't full of wrestlers either. It's a sweet Asics Stop At Never ad. ASICS Athlete and champion freestyle wrestler Jordan Burroughs shares his thoughts on training, the future, and what Stop At Never means to him. The wrestling shoes Jordan has on are ASICS Men's Omniflex Pursuit. Does Seattle’s Ichiro Suzuki Wear Wresting Shoes? Some baseball fans may have noticed that during the All Star game Seattle's Ichiro Suzuki looked like he was wearing wresting shoes with cleats on the the bottom. I'm pretty sure that if you were playing in the All Star game that you'd only have the best baseball shoes you could find. However, check out the pictures below, what do you think? To some the shoes could be mistaken for wrestling shoes but they are indeed Asics baseball shoes. If you are looking to buy a pair, they seem to be available in Japan or on eBay.